Ancient Greece has contributed so much to western civilization, as well as to Anglo-American culture, politics, and language (English)! 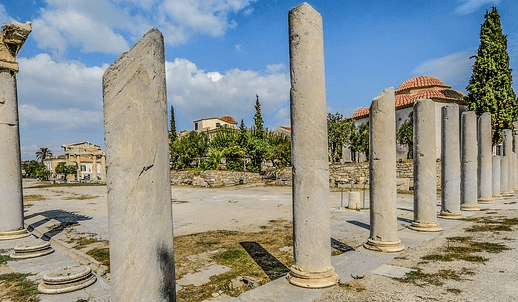 Here are a few articles introducing Athens, Sparta, and Greek democracy, as well as stories of the Greek origins of some English words, and a chance to practice the more common ones. I enjoyed Newsela’s introduction to the development of Athens and Sparta. It’s suitable for 6th grade through adult readers, and good English reading practice even if you already know the major differences between the two cities and why they clashed. A BBC article discusses the development of Athenian democracy and points out how many English political words and concepts come from Greece. Babbel tells the entertaining stories of a number of English words with Greek roots—especially those that come from Greek myths. You can review and practice some of the more common Greek roots here.